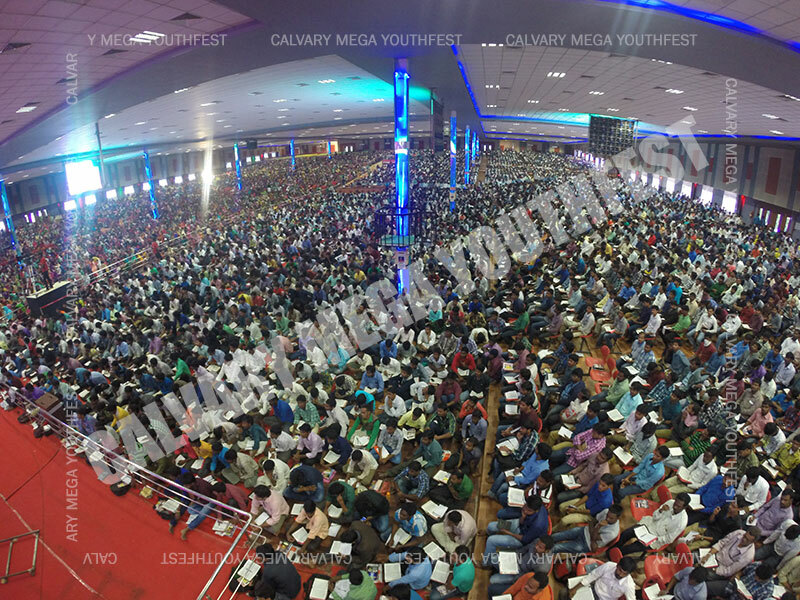 Every Year during some of the major national holidays ( Jan 26th, August 15th, October 2nd ) Calvary Temple organizes a Mega Youth Festival with a burden to see young people saved and their lives transformed by the power of God. The Mega Youth Festivals are one of the biggest youth festivals in the country, where over 20,000 young people from all across the country gather together to hear Gods Word and to see their lives challenged and changed. Dr. Satish Kumar answers some tough questions that young people usually ask and face in their lives. Many young people accept Christ as their savior, many are challenged to work for the Lord and many rededicate their lives to God.